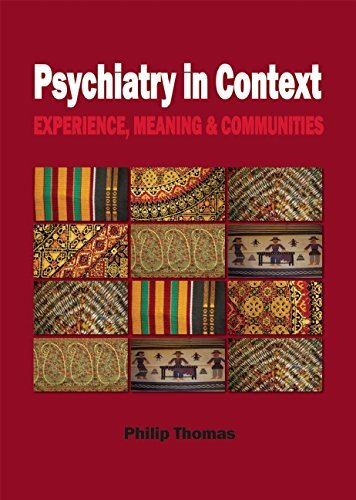 This book examines the central role of contexts in understanding psychosis and distress. The contexts in which we all exist, historical, cultural, social, political, economic and interpersonal, shape and give meaning to our lives for good or for bad. Scientific research confirms how contexts of adversity such as trauma, abuse, and racism can lead to psychosis. Thomas argues that if we are to prioritize the role of values and ethics in mental health care we must engage actively with the contexts of patients’ lives rather than focus on the endlessly fruitless search for the biological origins of distress and increasingly technological approaches to its management.